The CMS proposed several changes aimed at combating opioid addiction among seniors and dual-eligibles and advancing the Trump administration's agenda of reducing regulatory burdens and increasing flexibility for health plans. The agency said the proposed changes to the Medicare Advantage program and Medicare Part D prescription drug plans for 2019 would save Medicare about $195 million a year over five years, helping to lower premiums and improve benefits for Advantage plan members. 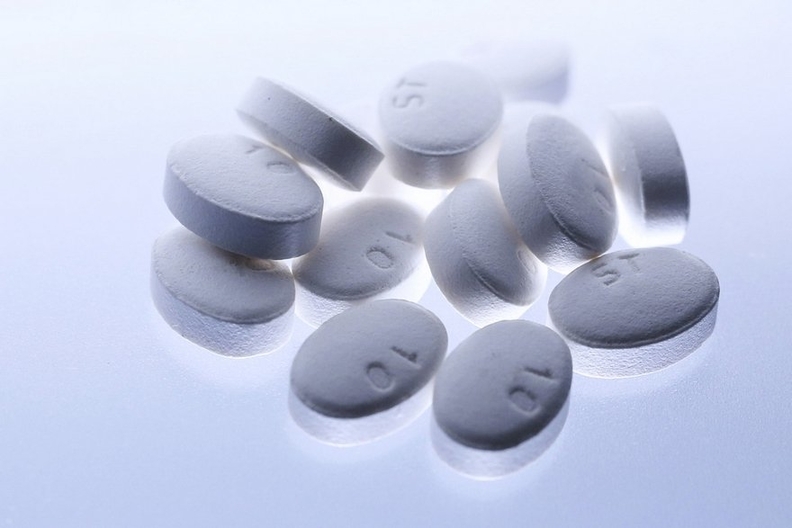 The CMS spent a big chunk of the 713-page proposed rule outlining how it will implement the Comprehensive Addiction and Recovery Act of 2016 to curb opioid overuse among seniors and dual-eligibles. The rule would allow plans to set up a drug-management program for members at risk for opioid abuse. Those plans could limit certain at-risk members' access to coverage for opioids to certain prescribers or pharmacies. The rule would also limit the special enrollment period for dually eligible beneficiaries. The CMS expects that all plans would implement such drug programs, in light of the worsening opioid epidemic and the Trump administration's recent move to formally declare the opioid crisis a public health emergency. If finalized, the proposal should "further reduce opioid overutilization in the Part D program," the CMS said. The CMS also is requesting help on designing a program to lower out-of-pocket drug costs for Medicare Part D members. Health plans and pharmacy benefit managers negotiate rebates and discounts with drug makers and pharmacies, but there's no way to know if those saving are being passed on to the plan members. So the CMS is pushing for a policy that would require insurers to pass along to customers at the pharmacy counter a portion of the rebates and discounts those health plans received for a covered Part D drug. While that won't help reduce the underlying cost of expensive prescription drugs, it will ultimately help lower out of pocket costs for patients. The CMS also proposed to get rid of Medicare Advantage's "meaningful difference" requirement starting in 2019. Currently, the CMS will only approve a bid submitted by an Advantage organization if the plan benefit design, including premiums, cost-sharing and benefits, is substantially different from other plans already offered by the organization in a certain area. The point of the meaningful difference requirement, which was first introduced in 2011, is to limit the number of plan options available in a certain area to reduce seniors' confusion when picking a plan. But the CMS said the requirement may actually limit innovation and competition in the Medicare Advantage program, and prevent Advantage organizations from tailoring plans to specific health conditions. In 2010, before the requirement was implemented, Advantage members could choose from an average of 30 plans, compared to 18 plans in 2017. Eliminating the requirement will "improve competition, innovation, available benefit offerings, and provide beneficiaries with affordable plans that are tailored for their unique healthcare needs and financial situation," the CMS said. But industry experts aren't so sure. "That I think is going to flood the market now with look-alike products," said John Gorman, a former federal health official who is now a consultant for Advantage plans. More products mean more confusion for consumers, but will keep brokers busy as they help consumers sort through the plan options, he said. Additionally, the CMS wants to excuse some enrollment marketing materials from federal oversight. It'll do this by only reviewing those materials, like flyers, brochures and TV ads, that are most likely to lead a consumer to make an enrollment decision, the agency said. Other materials and activities—including membership communication materials, subscriber agreements, member handbooks and wallet card instructions to enrollees—will be called "communications" and will be free from federal review. "By narrowing the materials that fall under the scope of marketing, this proposal will allow us to better focus its review on those materials that present the greatest likelihood for a negative beneficiary experience," the CMS explained. Experts worry that less oversight, however, could lead to inaccurate or misleading information getting into the hands of consumers. Another major change is that the CMS wants to allow health plans to include fraud detection activities in their medical-loss ratio calculation. Medicare Advantage plans are required to have a medical-loss ratio of 85% of higher. The medical-loss ratio measures how much of each premium dollar the plan spends on medical claims. By redefining fraud detection activities from an administrative expense to a medical one, the CMS is enabling health plans to make more investments in preventing fraud and abuse, Gorman said. The change is something that health insurance commissioners and plans have wanted for a long time. Gorman isn't worried that the change will reduce money spent on medical care, pointing out that the vast majority of Medicare Advantage plans already had a medical-loss ratio of 85% or higher before the requirement was implemented. In a bid to improve customer experience, the proposed rule would also restore the Medicare Advantage open-enrollment period, as outlined in the 21st Century Cures Act. Beginning in 2019, the proposed rule would establish an open-enrollment period to run from Jan. 1 to March 31 in which Advantage beneficiaries could make a one-time election to switch Advantage plans or obtain coverage under Medicare fee-for-service instead. That way, a consumer who is unsatisfied with their coverage won't be stuck with the plan. Consumers enrolled in Part D prescription drug plans would also be able to make changes so long as they are also enrolled in a Medicare Advantage plan.